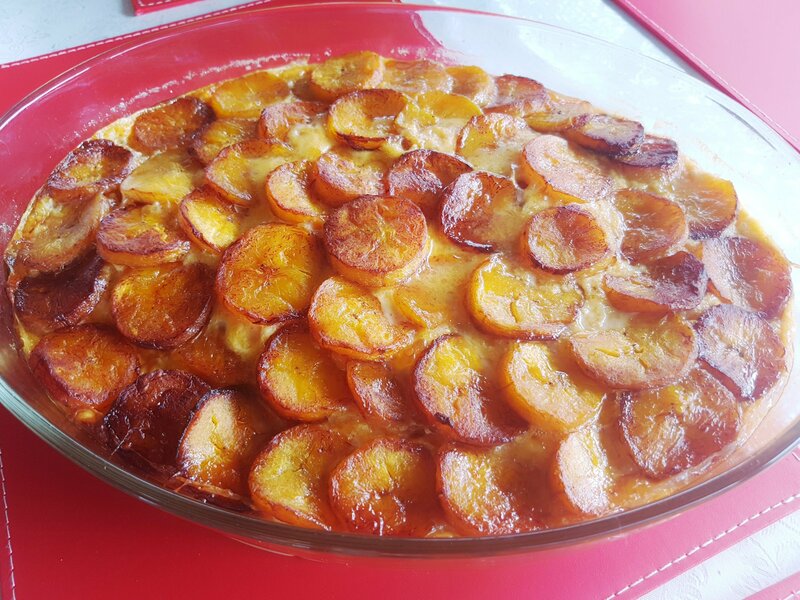 Ripe fried plantains is favourite African breakfast for many. It taste sweet and delicious . 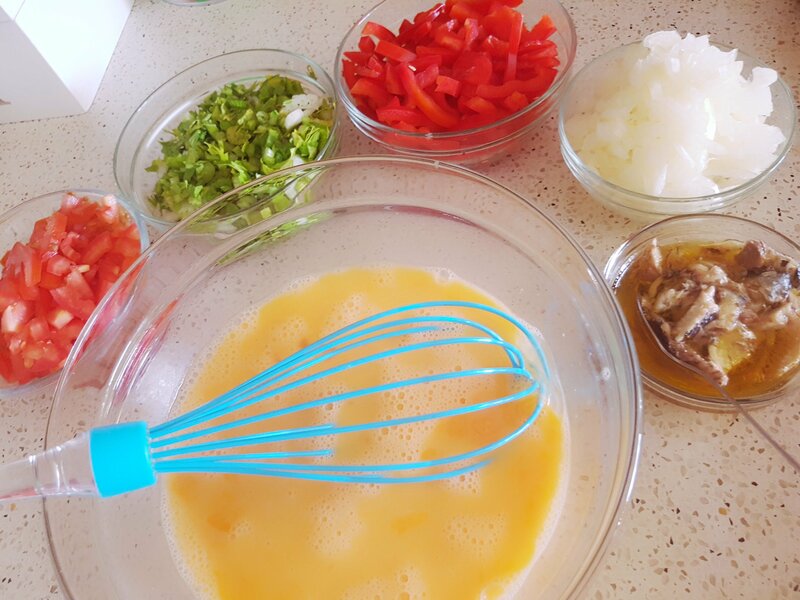 Frittata is something that you will try for your breakfast if you want something very healthy light different and deliciously flavoured. What makes it actually healthy is the conbination of delicious vegetables. I like mine with celery, onion , tomato; capsucums. The aroma is very tantalizing and the veges and eggs makes it healthy. Since i like baking mine, it becames fluffy and light . Some people like frying theirs. 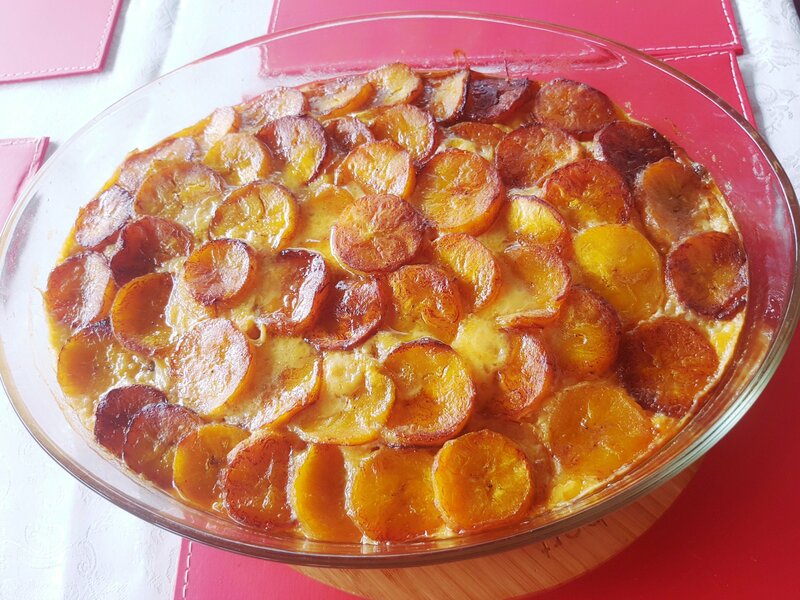 I prefer baked plantain fritatta because it contains very little oil. My kids love it to bits . I fried my vegetabkes with very little oil and i bake without oil. So this is breakfast consist of very little oil . Apart from the nice flavoured vegetables added in this recipe, you can actually add more magic in yours by adding tiny pieces of ham, salmon and sauaages into yours . I will introduce this to you next time. And with the veges you can add grated carrots, zucchini and much more. It all depends on your choices of veges. Wash and Peel ripe plantains, dice and set aside. Crack 9 eggs, beat and set aside. In a frying pan heat 3 tablespoons of coconut oil and and fry diced ingredients for 3 – 5 mins . 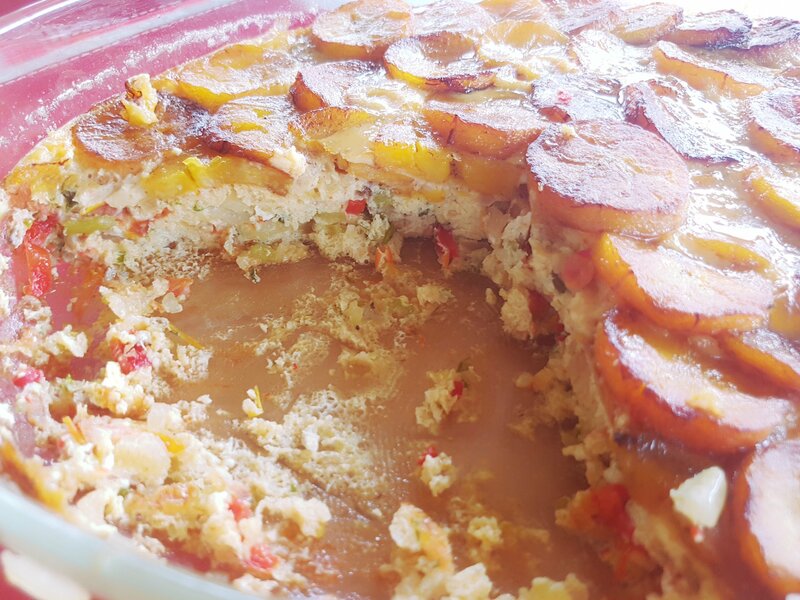 Pour egg in a baking pan and mix with friend ingredients. Place fried plantains on your egg . 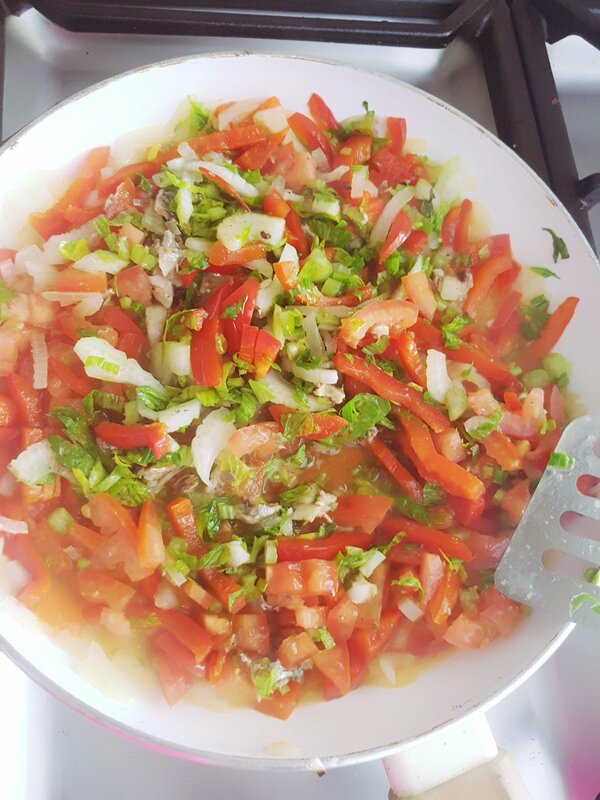 Try this recipe and tell me how it taste. 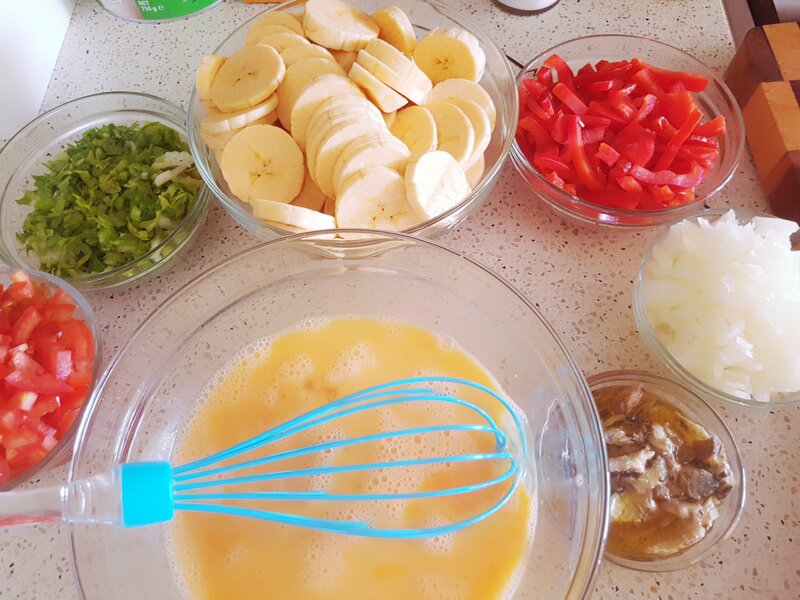 Previous Post VEGETABLE ( Jama jama ) PRAWNS SOUP & RIPE PLANTAINS .